I received this product for free from the sponsor of the Moms Meets program, May Media Group LLC, who received it directly from the manufacturer. As a Moms Meets blogger, I agreed to use this product and post my opinion on my blog. My opinions do not necessarily reflect the opinions of May Media Group LLC. or the manufacturer of the product. 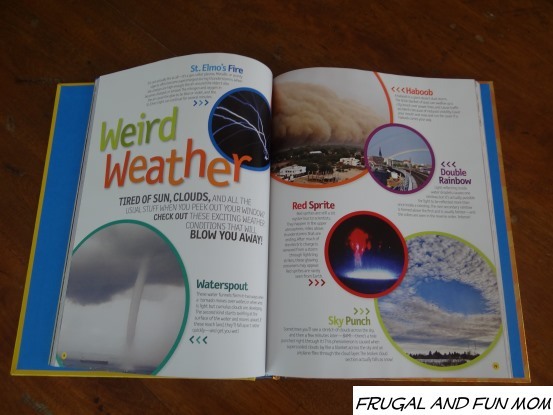 Recently I was given a variety of National Geographic books to review with my kids here of Frugal and Fun Mom. I was excited to have this opportunity because as a child National Geographic was a publication that my grandparents always had, and I read the articles and hung the maps up all over my walls. 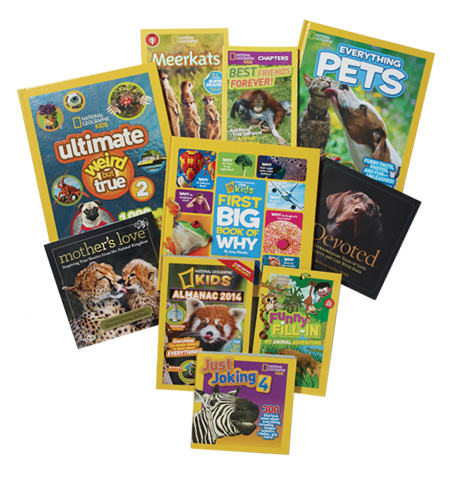 National Geographic high quality images and content are a perfect addition to our book-case, and I hope in the process of reading these books, that my children have fun and learn at the same time. A few of the book titles we received included Just Joking 4, Ultimate Weird But True 2, Everything Pets, and Meerkats Level 1 Reader. 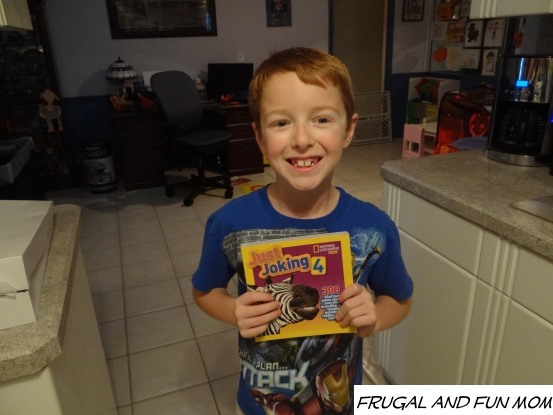 Just Joking 4 is a funny kids book with 300 jokes, including tongue twisters, riddles, and knock knocks. The pictures are of animals up close and many appear to be laughing. This was the favorite of both of my kids. Ultimate Weird But True 2 is a hard cover book that covers a wide variety of topics and is not limited to animals. It covers space, volcanoes, sports, food, weather, and more. This is a book that the entire family can appreciate and enjoy. I think it would be perfectly placed on a coffee table to encourage conversations with house guests. Everything Pets contains photos and fun facts about dogs, cats, rodents, reptiles, and more. 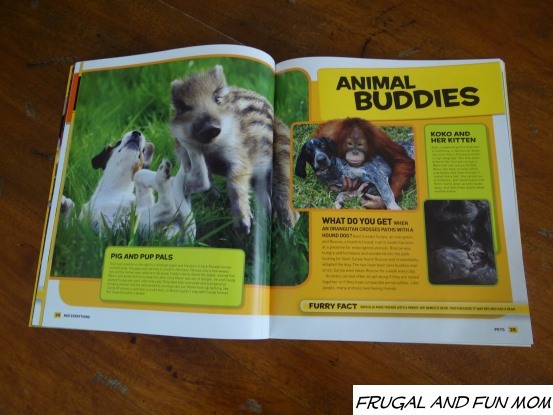 It has details about animal buddies, service animals, show dogs, and contains an interactive glossary. 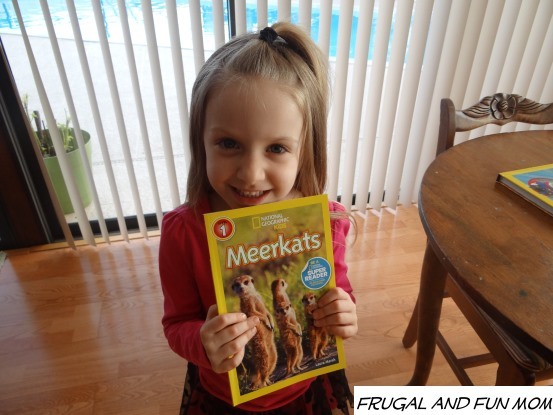 Meerkats Level 1 Reader has everything your kids would want to know about those cute little animals. In addition, it has Meerkat jokes, cool facts, and a picture quiz in the back. It contains large font and basic words making it a great starter book for young children. This book was a close second for popularity for my daughter. 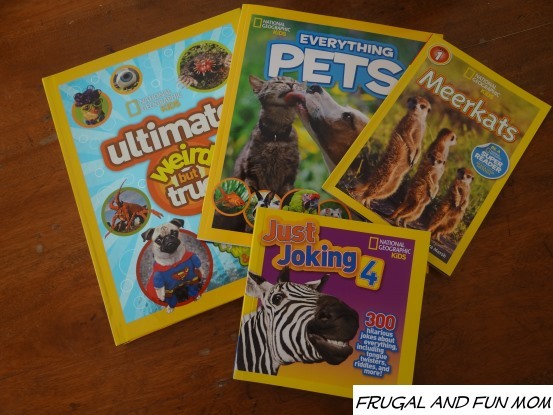 Does your child read National Geographic Books? If so what is their favorite one thus far? National Geographic Books are available wherever books are sold. To learn more about these titles and other publications visit ngbooks.org/momsmeet and just in time for the holidays, enjoy a 30% off discount through 12/31/2013. You can also find our more about National Geographic Books by “Liking” National Geographic at Facebook.com/NatGeoBooks and following them on Twitter @NatGeoBooks. 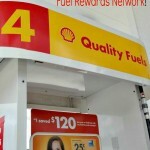 New Members and Referrals Save .25 Cents off with #FuelRewards! 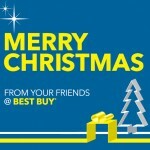 Plus $25 Shell Gift Card Giveaway! My kids always loved these when they were younger. These look like a lot of fun for my 3 year old! My children always loved these books! They are such great quality and I love that they are filled with interesting facts and gorgeous photos. We have always enjoyed the National Geo books at our home. 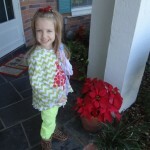 The pictures are vivid and colorful and the content is excellent. Love that meekrat book... when I was a kid I always said I liked those animals because of The Lion King! I have a few of these for my son. He's not quite ready for them yet, we just look at the pictures, but when he's ready definitely plan to subscribe to it.